At our "Incredible Edible Kings Heath" event, seemed to generate a lot of interest. There must be something magical about the application of a little design and technology to urban food growing to create a living, symbiotic system. 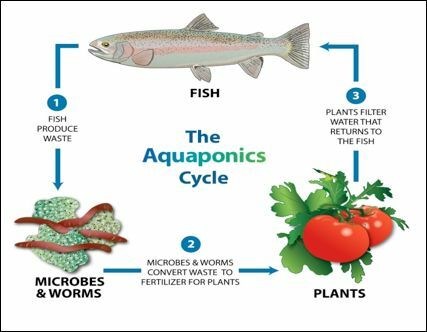 For those who are wondering what the fuss is about: aquaponics is growing fish and vegetables together. By circulating the water from the fish tanks through the grow beds, the vegetables get nutrients, the fish get clean water – and you get tasty, healthy, fresh food in your back yard, or virtually anywhere. It’s got real potential to increase our food security and dramatically reduce food miles. I’ve decided to take this forward and set up a group is for anyone in the Birmingham area who is interested in trying this exciting technique for urban farming. Personally I’m keen to get an experimental system set up in my back yard, but I’d love others to get involved and benefit from the experience too. Join us as we learn together!